Cyclocosmia are a band from the United Kingdom that plays a symphonic and progressive mixture of doom and death metal and this is a review of their self released 2017 ep "Immured". Atmospheric synths start off the ep along with some drum beats a few seconds later and after awhile the music goes into more of a heavier and symphonic direction and the song is divided into 4 parts and over 17 minutes in length and operatic female vocals are also a very huge part of the recording. Acoustic guitars can also be heard at times along with the heavier sections adding in death metal growls and screams and when guitar leads a re utilized they are done in a very melodic fashion and you can also hear all of the musical instruments that are present on the recording and the song also sticks to a very slow musical direction. Cyclocosmia plays a style of gothic/doom metal that is very symphonic and progressive while mixing in the heaviness of death metal to create a sound of t heir own, the production sounds very professional while the lyrics are a concept album based upon a Roman vestal virgin condemned to a live burial for breaking her vows of chastity. 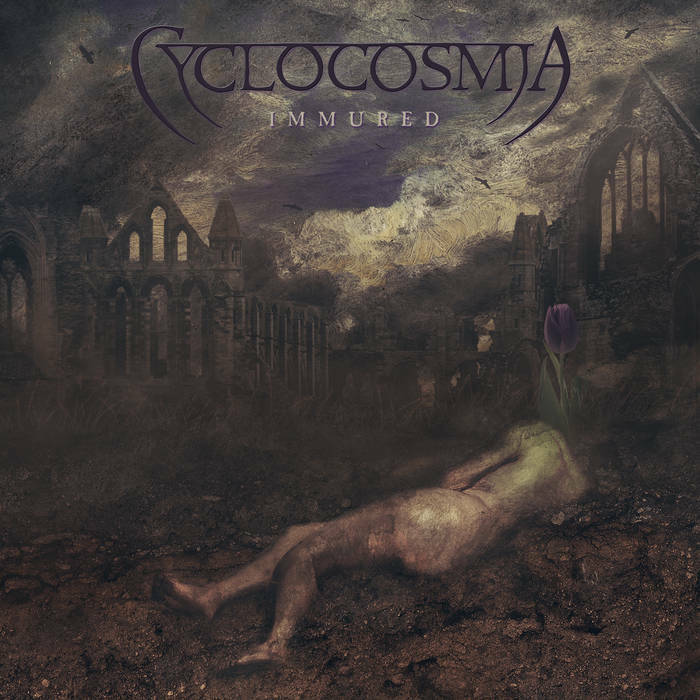 In my opinion Cyclocosmia are a very great sounding symphonic and progressive mixture of doom and death metal and if you are a fan of those musical genres, you should check out this band. 8 out of 10.